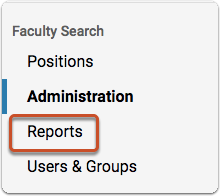 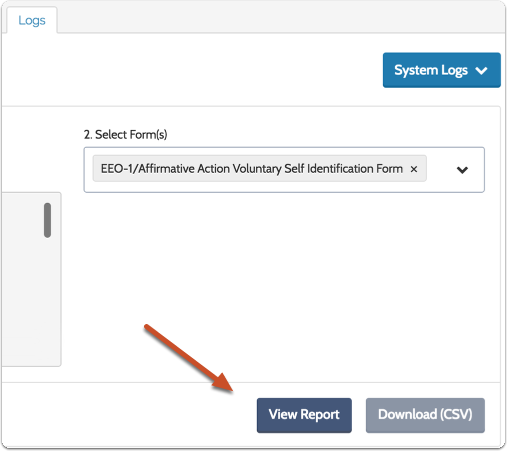 The reports contained in the System Logs section of Interfolio Faculty Search provide Administrators with complete visibility of changes associated with the positions they are managing. 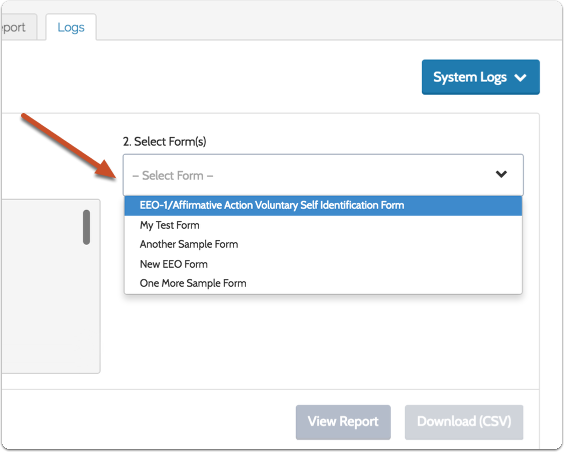 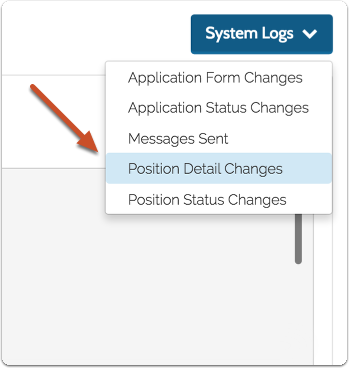 Interfolio will track any changes made to any form attached to a position in the system, providing visibility of when the form was created, and when any questions or available answers were changed. 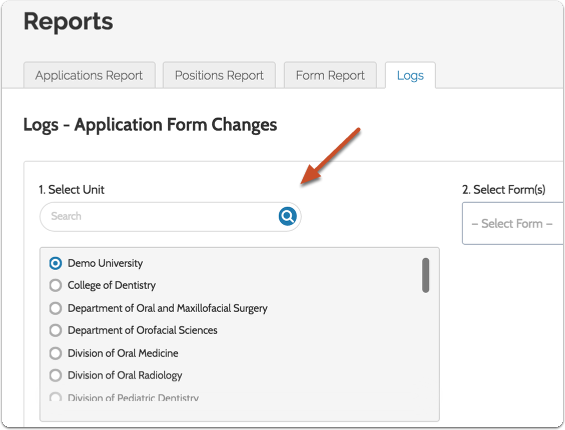 Follow the steps below to view a log of changes to application forms. 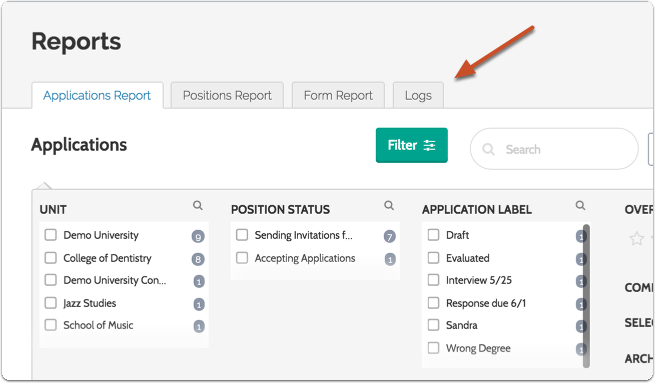 This log keeps track of the application statuses assigned to applicants. 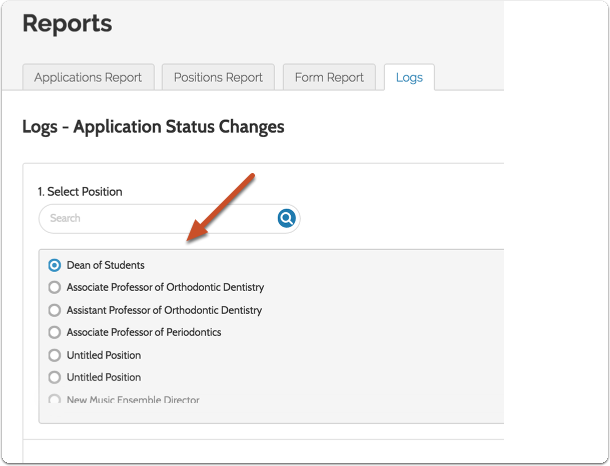 This report can be run either for an entire position or for a single applicant. 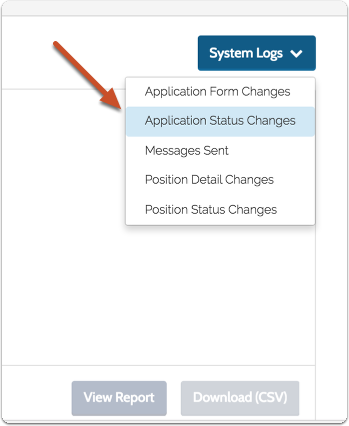 Follow the instructions below to view a log of application status changes. 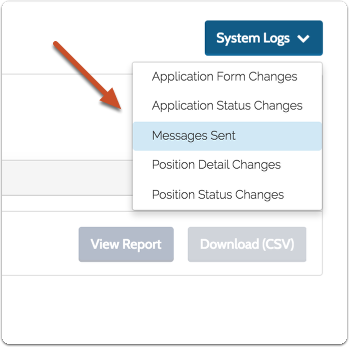 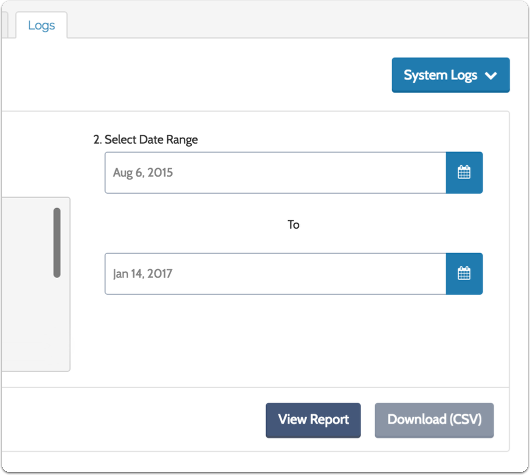 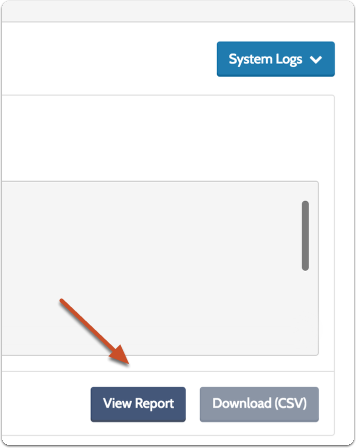 The Messages Sent log allows you to view all outbound communication sent while running an Interfolio position. 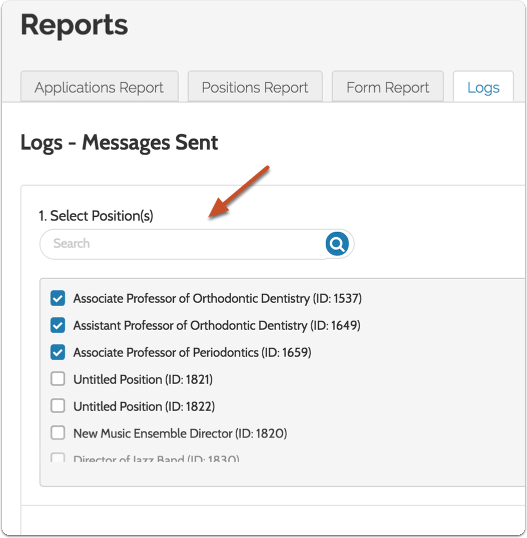 Follow the steps below to view a log of messages. 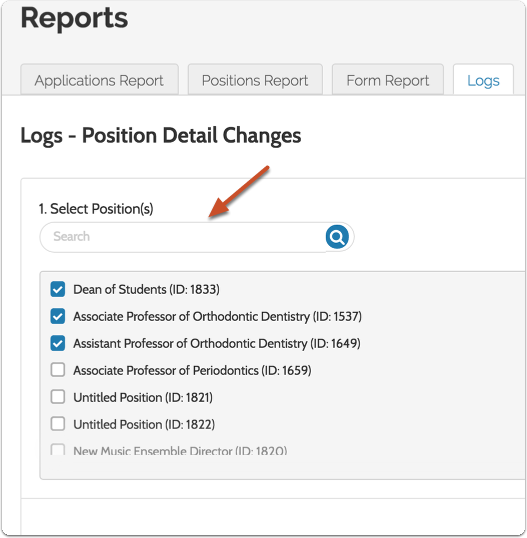 This log will track changes made in the position details while creating or editing the position. 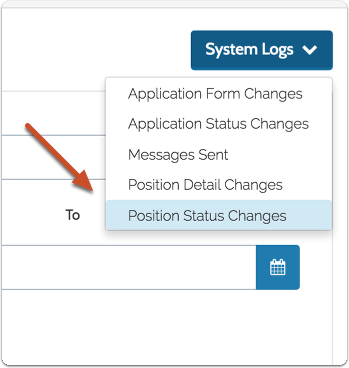 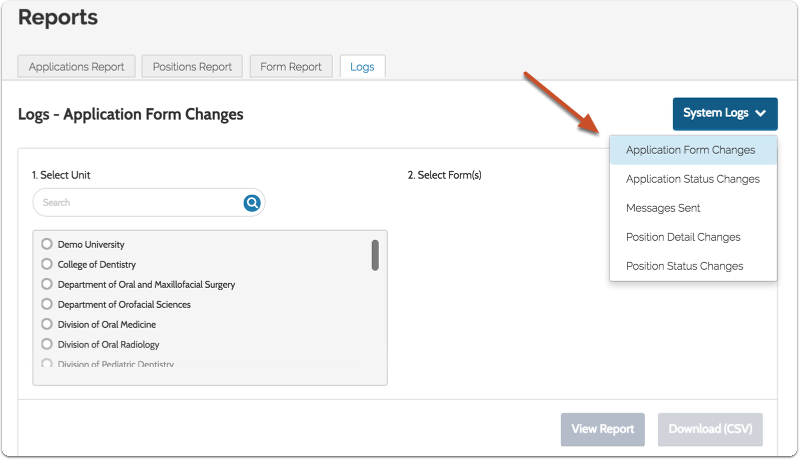 Follow the steps below to generate a log of changes to position details. 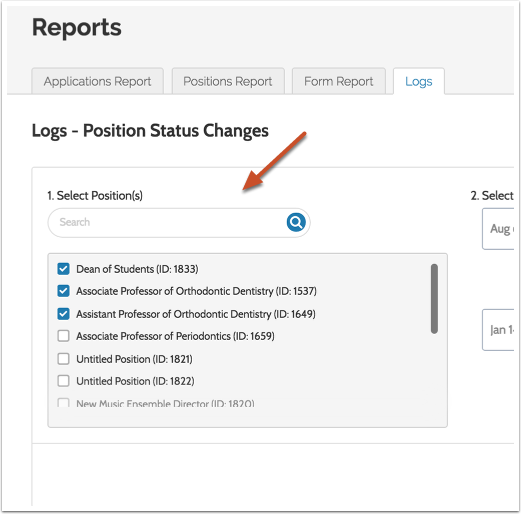 This log keeps track of the application statuses assigned to positions.